If you had told me 10 years ago about how much I would love having a faux tree, I would have definitely scoffed. But I'm a convert now. 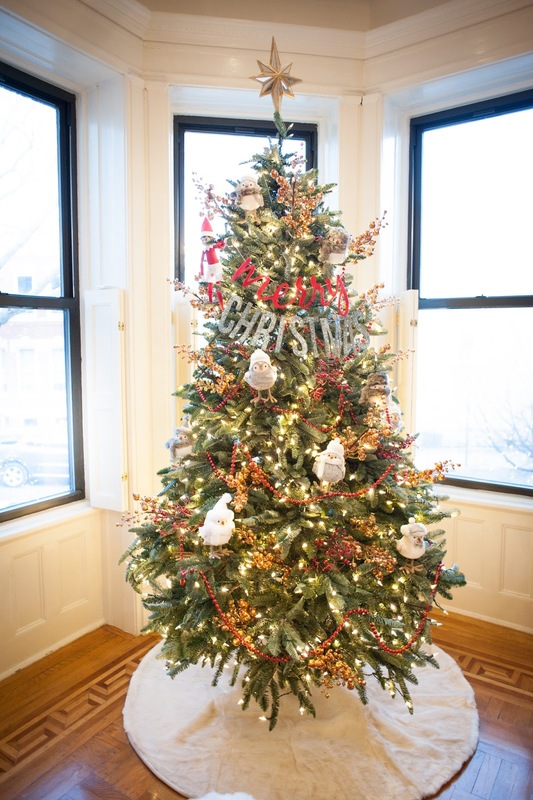 There is just no beating the ease and convenience of a faux tree - no needles to sweep up, not watering, no lights to untangle. Best of all, I can put this up the day after the Thanksgiving and I don't have to worry about having a dry tree come Christmas. 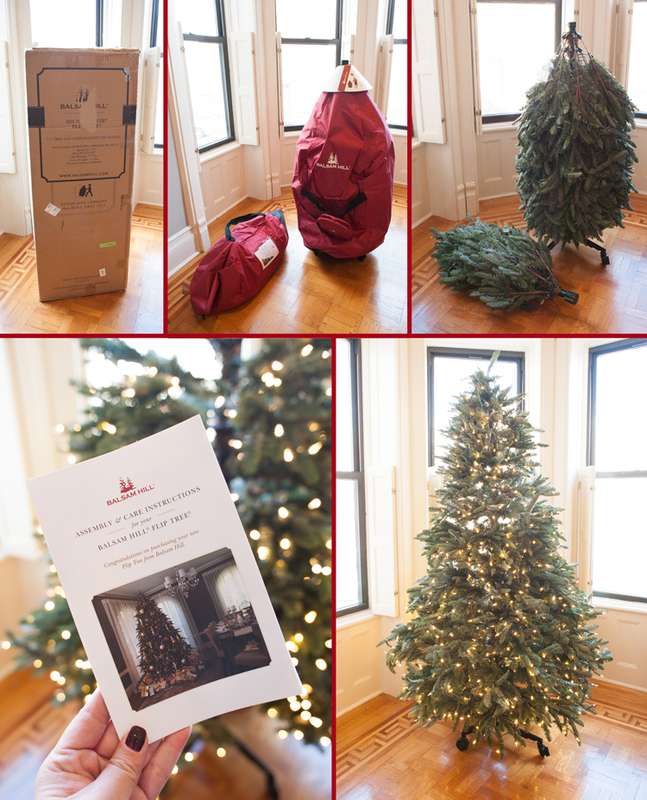 This year, it got even easier with a Balsam Hill Flip Tree. The base and about 2/3 of the tree is on wheels, you simply roll it out of the bag, flip it over and connect the top piece. No wires to find, no untangling lights. I literally pulled this bad boy out of the box and had it done in minutes. Not having to get my husband to help me put it up made us both merry! This tree has their LED candlelights and its beautifully bright and shiny. I love how its nice and bright even in the daylight but of course the evening it when it really sparkles. Aggie was super excited to come home to this surprise. Thank you to Balsam Hill for making life so much easier for me and providing me this tree. I definitely was happy to have that extra time back! We made the switch to faux a few years back. Sure, I grew up with real, but now that I have a house and kids, I love that I can put it up early and enjoy it for so much longer. This looks awesome! Our tree just snaps together and lights up, too. No wires to figure out. So easy! I have several fake ones, but none that seem this easy! How heavy is it? It's pretty heavy but it's on wheels so once you have it on the floor you want it, it can be rolled into place. For someone with a garage it really is super easy. We will have to carry it down a few flights of stairs to store it but it's still easier than dragging a live tree home. At least for us! Ah, stairs will be an issue here, too. Of course, the trees we have now are heavy, too, and locking wheels might solve the cat issue. :o) Thanks for you input!